set against the backdrop of one of the most virulent epidemics that america has ever experienced -- the 1918 flu epidemic -- thomas mullen's powerful, sweeping first novel is a tale of morality in a time of upheaval. deep in the mist-shrouded forests of the pacific northwest is a small mill town called commonwealth, conceived as a haven for workers weary of exploitation. for philip worthy, the adopted son of the town's founder, it is a haven in another sense -- as the first place in his life he's had a loving family. and yet, the ideals that define this outpost are being threatened from all sides. a world war is raging, and with the fear of spies rampant, the loyalty of americas is coming under scrutiny. meanwhile, another shadow has fallen across the region in the form of a deadly illness striking down vast swarths of surrounding communities. when commonwealth votes to quarantine itself against contagion, guards are posted at the single road leading in and out of town, and philip worthy is among them. but what happens when a mysterious man seeking refuge refuses to turn away when denied entrance? 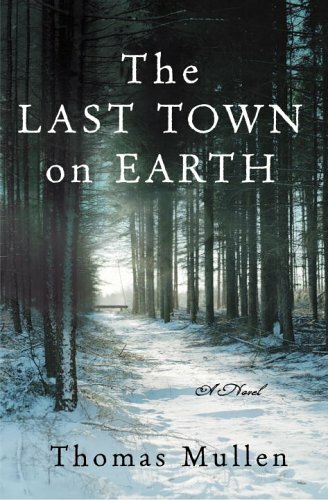 how far can one town go to save itself? the encounter that ensues will have deafening reverberations throughout commonwealth, escalating until every human value -- love, patriotism, community, family, and friendship -- not to mention the town's very survival, is imperiled. your novel kept me up late into the night. i devoured it. i couldn't put it down. you took the essence of a stephen king premise and then ran in the opposite direction of every book he's ever written. (i do adore stephen king, so this is not an insult to you or him.) truly awesome. you've made this your own and i applaud your first novel. i've been disappointed with some of the adult novels i've read lately. stories have been running wildly away from their authors and no one seems to care. you plotted. you thought. you crafted. and i was there the whole way. never once did your story waiver. never once did i question your motive for an action, a scene, an incident. it flowed so effortlessly, but i could tell you did your research. and your writing was lovely. just lovely. the town, the men and women in the town, the history, the setting -- spot on! each element and character lent itself incredibly to the story and pushed it to a new level, driving the plot and adding to the tension. if the twilight zone ever had a literary episode, this would have been it. this is book i will recommend to anyone and everyone. can you right another novel? now please. i cannot wait until 2010 for your next book. Hey, thanks! Glad you liked it. Sorry it cost you some sleep. My second novel, "The Many Deaths of the Firefly Brothers," comes out January 26. Sorry it takes so long for the publishers to do their thing -- I finished the book last winter and wish it could hit the stores sooner. Again, thanks for reading, and thanks for blogging about it.